Meh I think still the key to this accident is why this one pilot didn't detect the stall and did exactly the opposite to what any procedures would tell him to do, not the fact that sidesticks aren't connected like yokes are. There already was one accident, the Birgenair flight where a 757 crashed after the plane lost airspeed data and pilots failed to follow correct procedures and stalled the plane. If one pilot fails to detect and react to stall properly it's entirely possible the second pilot doesn't do any better either. Hard to believe it's 4 years already from what was certainly one of the greatest accidents in modern years in aviation. Though indeed having a control column would make it more obvious to the other pilot, I don't believe this is the critical part of this accident. Many factors lead to this accident, but the lack of a control column is an insignificant co-incidence. The problem was not even identified, at no point was "Pitch and Power" called out, at no point was "Full TOGA, Nose Down" called out, Boeing or Airbus, neither pilot recognised that they were in a stall. Lack of proper training and proficiency was the root cause of this accident. there is something very interesting in the final report of AF447 from BEA (LINK) which has passed rather unnoticed on the af447 threads i've read. the very first pull up of the side stick was a reaction i believe to the vertical speed information on the pfd right after the disconnection of the autopilot. there was a negative indication of the VS when the pitot probes blocked, which was incorrect and reached a peak of -750ft/min after 14 seconds. - True Air Speed (TAS). correction performed by ADR 3 is different from that performed by ADR 1 and 2. PFD in a nominal situation. for the ADR 1 and 2 and of 80 ft for ADR 3. The drop in Mach also impacts the SAT and thus the true air speed and the wind speed. consequences of Pitot icing that would result in a drop in Mach from 0.8 to 0.3. During Pitot probe de-icing, the same variations occur in the opposite direction. sorry for going into technical stuff but i think anyone can easily get confused in this situation and the instinct is to pull up when you see the vertical speed going down. this explains just the initial pull up i think, which put them in a climb towards FL380. other than that i still find it hard to belive and find an explanation why this crew acted the way they did for the rest of the flight. however inefficient their training was they certainly did many manual landings and takeoffs in their career and must have known some basic pitch and power settings of the aircraft. they were probably in a deep state of disbelief and were mentally unprepared to deal with the situation after AP went off. add to that the hour they were flying in, the effects of the turbulence, aural warnings in the cockpit, ecam messages to deal with etc. unbelievable how they missed the stall warning with the word "stall" mentioned 50+ times and not a comment made by the crew. they might have confused this with the overspeed warning. Bonin (PF) stated several times about some "crazy" speed they had. he even attempted to extend the speedbrakes but was not allowed by the other pilot, Robert. "The flight data recorder revealed that the pilot monitoring pressed the autopilot disconnect button, no aural alert sounded (because the overspeed warning has priority), and pulled the side stick about 75% of its travel back for about 6 seconds. The aircraft subsequently rolled right and left indicative that the pilot not flying was not aware of his actions..."
"102 seconds after the upset began, the aircraft was descending through 36,500 feet, the pilot flying finally notices the autopilot had disconnected and begins to operate his side stick." Performing an autoland, at 320ft agl the captain initiates a goaround but instead of pressing toga he presses the ATHR disconnect buttons, advances the thrust levers manually also pulls back on the yoke, but not significantly so the autopilot does not disconnect. maybe this is an innocent error due to fatigue but now begins the "fun" part which i don't understand. the aircraft continues to descend for about 9 seconds from 320ft agl to 63ft agl, with the speed increasing rapidly, the pitch going from 1.15 degrees nose up to 2 degrees nose down. only when the relief pilot in the jumpseat shouted: "Pitch" did they initiate a proper go around. 9 friggin seconds without any crew action so close to the ground!!! there are many other incidents which i dont recall at the moment. I think the most essential training is team building, where pilot and co-pilot act as one and draw on each others strengths. That's what helped in the Sioux City accident, and saved countless lives. And that's what helped when Sully's aircraft went down in the Hudson. The opposite happened in the case of the Tenerife accident, where you had a pilot dominant in the cockpit who wanted things done his way. I see parallels to that in just about any business I've run across where the team doesn't function as one, instead with everyone operating alone. It's easy to get hypnotized by that aloneness, so even when people are communicating with you, they get tuned out. Also we subtly influence those around us with our feelings. A pilot acting, anyone acting in their own world can cause others around them to do the same. I've seen examples of that in the team building exercises the various businesses I've worked in have conducted over the years. There's lessons to be learned by this accident that will hopefully save lives in the future. And I hate to knock Airbus--thousands of flights have been completed in them without incident, but they need to do something about their control sticks so both pilots are aware of what is happening to the controls. All aircraft mfrs that use similar systems that act in the same way should think about doing the same, unless such aircraft are intended for single pilot operations. Those are my thoughts. I did have a brief read of your post Arlind and agree with what you Are saying. The PF was a glider pilot & had a fair bit of experience on the A330. A whole host of factors caused this tragic outcome including somotagrphic illusion. I get slightly wound up when I read posts that suggest this incident was a simple case of the three stooges on the flight deck that night. On the flip side the bare facts are that Bonin applied full aft Sidestick on an airliner in cruise while in alternate law. You wouldnt do that even with the protections of normal law except for a resolution advisory in cruise or stall recovery/windshear escape manoeuvre at low altitude. He took his reasoning for that bizzare behaviour with him to the grave. My only conclusion to all of this is a simply a case of fear,confusion & panic causing him to throw any logic out of the window. At the end of the day trust is placed in these guy's to remain calm, follow SOP and fly the aircraft when the s*** hits the fan. Nobody on the flight deck managed to do that. "If it ain't Boeing, I ain't going"! Somehow I just knew this thread would get into an AB vs Boeing spat with all the silly remarks that goes with it. They both build fine aircraft. Otherwise this has been very informative. The uncoordinated controls thing is very interesting. I can see where this could be a problem for the Captain and First Officer. Apparently it's not a common issue. I trust what Sully says. He's been doing this for some time. I'm not too sure it would have made a difference if the side-sticks were mechanically linked, at no point did Robert ever call out or make any indication that he was aware that they were staling, he probably didn't know the reason they were descending either, and perhaps thought that what Bonin was doing wasn't the problem, he was focusing on the fact that the airline was falling, and that that descent rate needed to be arrested, he didn't make the connection that this was to do with the fact that they were stalling. So I think that having linked side sticks in this case would have made little difference. Somehow I just knew this thread would get into an AB vs Boeing spat with all the silly remarks that goes with it. They both build fine aircraft. Otherwise this has been very informative. It seems that the pilots where flying the instruments, I actually just saw ACI of the turkish boening 757 which crashed in the Caribbean after the pilots pitot tubes where blocked by some bees. Ronan O Cadhain wrote; "I'm not too sure it would have made a difference if the side-sticks were mechanically linked..."
As soon as Bonin (pilot flying) said he had been pulling back on the stick the whole time, Robert realised what was happening and jumped in straight away and flew the aircraft, but by which time it was too late. If it were a Boeing, Robert would have seen it, taken over a lot earlier and maybe saved the aircraft. Its just perplexing why Bonin would pull back on the stick. 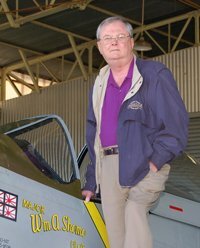 It was drilled into me, 'nose down-power on' in a stall, its basic airmanship and should be a cakewalk for an experienced pilot. Don't know if anyone noticed, but it would be very difficult to fly any plane with "yolk". Robert only realised when the Captain said it, he didn't realise up until that point. It was only when the Captain announced: "no no no don’t climb", that it clicked with Robert that they were stalling. Even then though, they were at 8,000' and likely the aircraft was lost. But agreed, there's no reason they should have gotten themselves in that situation to begin with. Maybe I missed this but what was the pitch attitude after the PF pulled the control stick back? Wouldn't the higher pitch attitude have been noticed on the ADI when scanning the instruments? I agree with Sully, BOTH the training AND cockpit re-design is the way to go here. Relying completely on one or the other is leaving an open door and not doing their best for future crews and passengers alike. Training alone may not be enough under certain circumstances. When an emergency occurs, the more training, tools and options you have available at the time will only help to improve your odds of surviving it. I also agree with Sully on this one. Had this been a yoke that was linked together then Robert would have seen it right away. The side stick is too far away from Robert to see what Bonin was doing as he was most likely trying to make sense of what was happening from the instruments. Had there been a yoke between him and the instruments he would have seen what was happening instantly. Even if Airbus mechanically linked the two sticks he could have at least glanced to his stick to see what was happening as well, but this would have taken longer to notice compared to a yoke.This was a very unique situation. I never cared for the 'If It Ain't Boeing' kind of comments as I see neither company as being any better then each other, just different. Truth is neither company can produce aircraft quickly enough to keep up with the market demand. I am with Ro on this one. Truth is, no matter how many links and redundancies you provide, human factors will find a way to get it wrong at the wrong time. The MD82 that crashed in Venezuela entered a deep stall from the pilot pulling on the yoke all the way to the ground, and the yokes were mechanically linked. The 757 that crashed in the Caribbean also was pulled into a stall and crashed. There are several others. I think further human factors study needs to be done on this. When professionals get into an emergency, each has a job to do, there is hardly time for one to be double checking what the other is doing, particularly when visual cues and horizon is lost, as evidenced by the 757, and MD80 and the A330 crashes. One pilot would trust that his co worker is trained and is performing the right process. That is the biggest failing here. All this talk about side sticks...Look, many flight crew have stalled a perfectly flyable aircraft by holding the yoke in their lap when they should have been pushing, some have even fought the stick pusher. You have to actually believe you are stalled (or at least approaching stall) to perform the correct recovery. For part of the descent towards the ocean they where not sure if the aircraft was climbing or descending, at the point that the V/S got so high they didn't believe the instruments, onboard it would have felt like they we're flying level or in a shallow descent. In area known for severe weather, particularly where airspeed indicators can be affected by icing, surely if technology can broadcast a 'running commentary' as demonstrated by AF447's ACARS system, GPS can offer an alternative albeit crude system to give some indication of forward/vertical movement ? It has always appeared strange to me that the preservation of life in an aircraft is dependant upon an airspeed measuring device, unreliable in this incident, that relies on a constantly changing medium (air) in order to inform aircrew of their surroundings. I have heard, so often, that aircraft accidents are the result of a number of factors, which individually are not serious, but linked together in a chain of events can be catastrophic. Wasn't this incident triggered by the AP disconnecting because of no airspeed input ? This surely was the start of the chain of events. Why not substitute, when such a loss of airspeed input occurs, a 'standby' GPS input, albeit a coarse indication, of forward movement ? How about a side radar return from heavy precipitation/cloud ice ? Surely some indication would be available to maintain AP operation, with a possible aural warning that the change of input had been detected ? If such a system were possible, it would still not excuse lack of training, or awareness of the aircraft's state, but I feel that at least, an alternative 'low resolution' airspeed input would have been of some assistance ? I also feel here that the captain should not have left the cockpit under such circumstances, where an area of extreme weather was possible. (or at least left an instruction to be recalled in any unusual situation). I realise that under the pressure that the two junior pilots were under, they probably may have not considered calling the captain. According to the CVR he was the first to appreciate what was occurring, but he returned to the flight deck too late to save the flight, and did not have enough time to appreciate what was happening.